Waiting rooms – I am certain – are made to break you. They are forced moments where life seems endlessly suspended. You have no control over what is happening wherever you are, and you have no insight into what awaits on the other side. or better yet – resting – relishing the time to be quiet and at peace. But others worry while they wait. 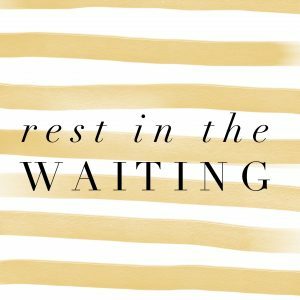 But almost everyone has a point where the waiting becomes restlessness and restlessness turns into anxiety. Or Jesus waiting to begin His ministry that would change the world. Do you bounce a knee? 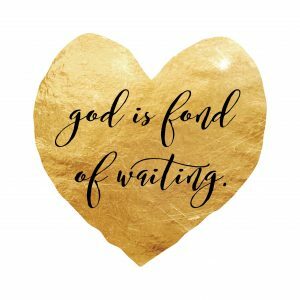 Is your focus on what is on the other side of the waiting? Do you use each minute (or day) (or month) (or year) to attend to other matters? Do you spend it in reflection? Do you spend it preparation? Do you spend it resting? Do you spend it praying? Take a deep breath and relax into it. They are made to break you of your will..
to bring you to His. Posted on January 22, 2017 by Nikol. This entry was posted in Struggles. Bookmark the permalink.